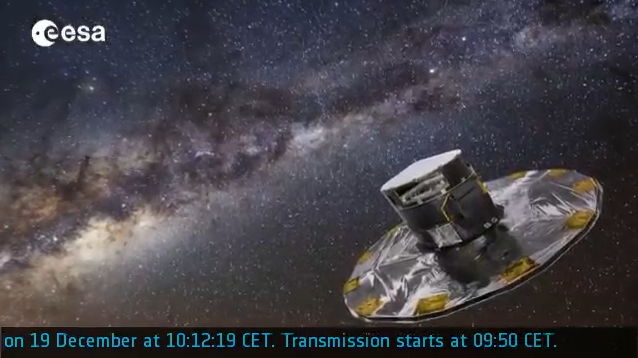 Watch ESA’s billion-star surveyor Gaia launch into space on 19 December at 09:12:19 GMT (10:12:19 CET). Streaming starts at 08:50 GMT (09:50 CET). Good luck and godspeed, Gaia!